If you’re a business owner wanting to develop your skills with a like minded group of people, the Business Olympics is the right place for you. We recognise that your time is valuable so we meet on a quarterly basis for two and a half hours at the beginning of the day to enjoy a delicious breakfast while we network and learn some new skills to make us the best we possibly can be. You can be back in the office before 11am feeling energised and ready to tackle whatever the day may hold for you with the knowledge that you also have a kitbag full of new skills to try out. Our sessions are fun, as we think that’s the best way to absorb new information. Jane starts the day with some activities that get your minds limbered up and then passes onto a speaker who will give you some great hints and tips to make the most out of your business. The session finishes with a discussion of how you can take the new learning into your own business so that it can be even better than it already is. I’m delighted to announce that Martyn Gerrard, Chairman of the family estate agents of the same name, has agreed to be our guest speaker at the next Business Olympics on 14th May. Having started out in 1964 in Whetstone, they now have ten offices and sell over 1200 properties a year. Martyn will be sharing his tips on how to grow your business into an award winning success. He is a real believer that ‘people matter’ and we’re really excited that he is going to come along and share his knowledge with us. I invited Martyn to join us as I feel that I have been seeing more and more of the Martyn Gerrard estate agency boards around the area especially after their recent rebranding. And since our last session was about the way we market outselves, I felt it would be a really good fit. You might be also interested to know that the Martyn Gerrard strap line is ‘where integrity counts’. When you think of our stereo typical view of estate agents, I’m sure you will agree that it will be good to hear how the team bring their strap line to life in everything they do. we provide you with a certificate of attendance, so that the session can also be used as part of your C.P.D. 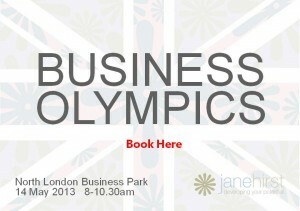 If you’d like to find out more, just get in touch with me at jane@janehirst.com or give me a call on +44 20 8361 0021.